We love smellies in Mrs. Miner's kindergarten classroom! What are smellies you ask? Head over to PreK and K Sharing's blog where I write a monthly article to find out. Just in case you are totally sold on the benefits and uses of smellies, I have decided to share a freebie with you so you could create your own Smelly Starter Collection OR give one to your favorite teacher or childcare provider as an end of year gift or, even better, a "just because I like you" gift. Just choose which color/design you want and print it out onto 4x6 photo paper and affix it to a container filled with a variety of "smellies" and voila! you have wonderful gift for someone or a great collection for yourself! LOVE LOVE LOOOOOOOOOOVE! Did I mention I love this? Oh my goodness...I want some of that smellies chap stick!!! I do this in my classroom except we call them "Smelly Scents". My students love them. I get a lot of them in the dollar section at Target. I just picked up 3 new ones last night, Laffy Taffy, Mountain Dew, and Cinnabun. Just checked out the post - awesome idea! 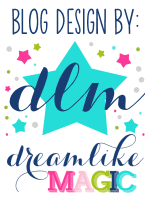 And I love your blog design. So glad you love the idea! Not my original idea, of course, but it is something that the kids LOVE. Yes, Dollar Section in Target is great to find them AND the Dollar Tree as well. A great send off gift for your kiddos, too. Smell ya later! Didn't know what Smellies were...just found out! Gotta have some!! My kiddos LOVE smellies! I actually had a smelly thief this year. He was pretty easy to catch though. His hands always smelled so good =) Ha! Such a cheap new thing to add to your class too! Cheap thrills for teachers are great, huh?? Smellies work wonders in my classroom! I LOVE them! Thanks for the freebie! My kids BEG for smellies! My kids love these too. Thank you so much for the freebie. I have been a long time stalker of your blog and am now an official follower. Thank you for always having such great ideas.